Imagine Roussillon is a family friendly resort in the South of France surrounded by vineyards and peaceful countryside, but less than 10 minutes’ drive from sandy beaches at Canet Plage. With just 6 luxurious baby and toddler friendly apartments, and 2 swimming pools, a fitness studio, Kids Club and stacks more facilities and activities for young children, Imagine Roussillon prides itself on giving families the perfect holiday. 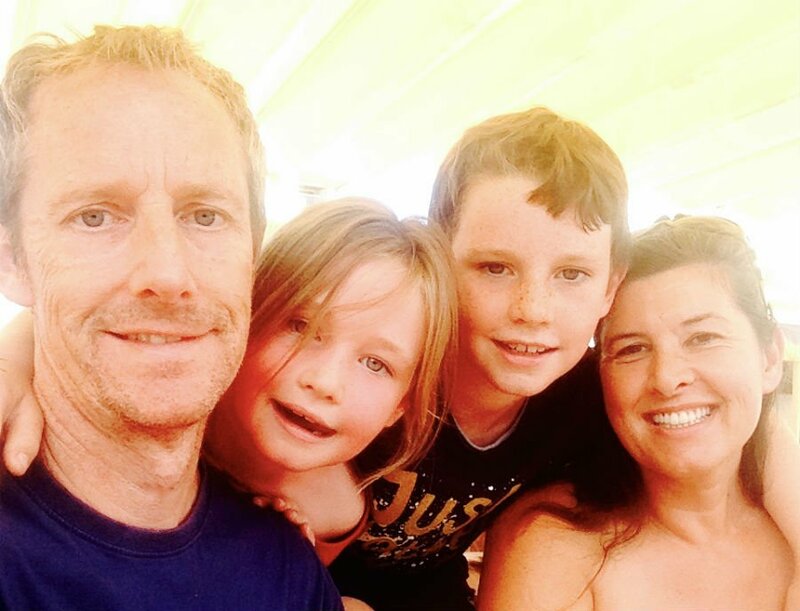 We caught up with Phil to find out why Imagine Roussillon is so popular with families looking for a baby and toddler friendly holiday in France. When we were deciding where to go on holiday with our young children, we could never find the right combination of facilities and location that we wanted – we found that we were in cramped hotel rooms or in a lonely villa. We craved a mix of the two: a great location and facilities, a few like-minded families and lots of baby, toddler and child friendly facilities in a specialist resort. So we wanted to create a specialist micro resort uniquely for families with babies and young children. We wanted somewhere where parents could relax without worrying about dangerous or breakable items in the apartment, and where we wouldn’t be disturbing any couples wanting peace and quiet. We spent 2 years looking for a special coastal location in the South of France where we could create Imagine Roussillon. Now we are located in a former wine domain on the Roussillon coast – the old wine press and tanks are still in place in the fitness studio! We renovated 3 apartments from the vine worker’s cottages and opened in 2012. The Kids Club is in the old wine tasting room, but don’t worry we don’t store wine in there anymore! Emma was a Pilates and Fitness instructor in the UK running her own studio. I was a TV floor manager working on children’s TV shows for many years. We had 2 very young children and decided to look abroad for a warmer life where we could live by our own rules. We found the South of France to be very tolerant and welcoming of young families. You can find out more about us here. Imagine Roussillon is a luxury child friendly resort. Can you tell us more about what this means? 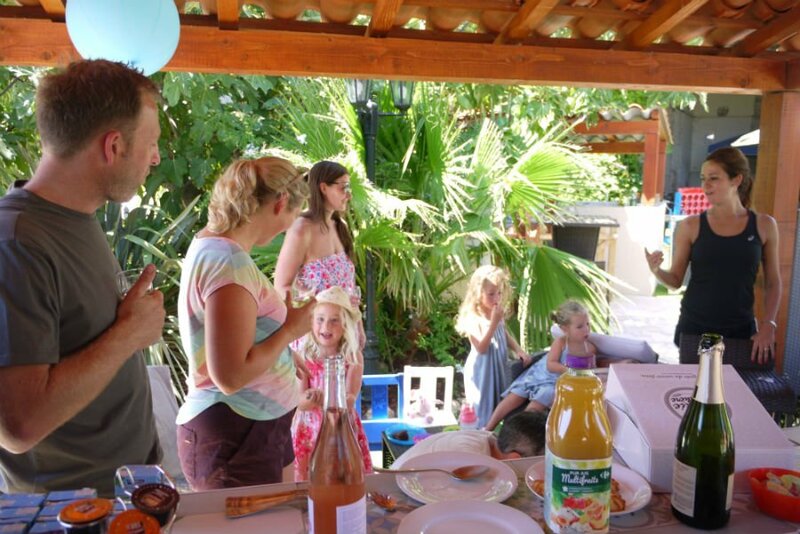 We are specialists in holidays uniquely for families with babies, toddlers and kids up to age 10. But at same time, we want the parents to get a holiday too. So we offer massages, fitness classes, a gym, jacuzzi, café bar, free wifi, meals and so on to help tired parents relax. The difference is that we are really small with just 6 apartments. And our location is fabulous too – among the vineyards and only 8 minutes’ drive to sandy Mediterranean beaches. 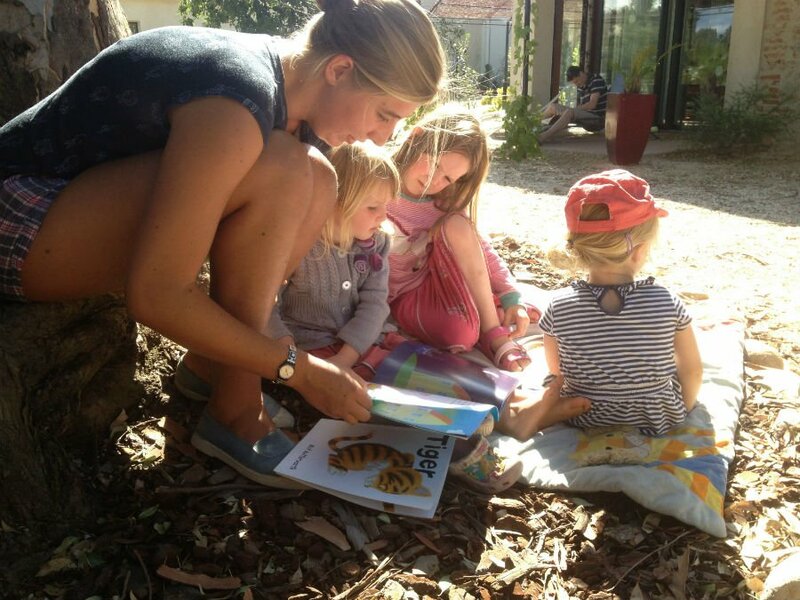 What makes Imagine Roussillon so special for families with babies and toddlers? What sets you apart from everyone else? We offer tailor made holidays for families with young children. The apartments are large and air conditioned with loads of baby and toddler equipment waiting for families on arrival e.g. cots, high chairs, blenders, changing mats, baby monitors and so on. The whole site is securely fenced with no gaps for toddlers to run through. The pool and car park is fenced off separately. The pool is warm and toasty – the perfect temperature for babies. Babysitting is included in the cost of holidays so parents get some time off!! We also offer massages and fitness classes within the peak season. Why should families visit the south of France? Babies and young children are very welcome in the South of France. We are also a very short flight from the UK with 7 airports nearby, including 2 in Spain. There are lots of restaurants, cafes and bars nearby, as well as galleries, museums and castles. Perpignan & Collioure are great days out. Also Imagine Roussillon is just 35 minutes from the border with Spain so you can easily visit Girona, Barcelona or the Costa Brava on a day out. 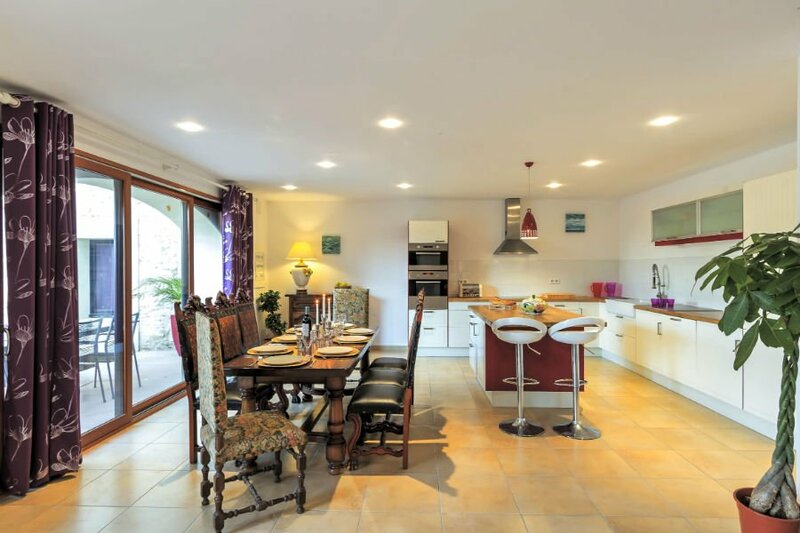 Can you tell us a bit more about the apartments at Imagine Roussillon? All our apartments are at least 80m2, air conditioned and double glazed. They all have comfy beds and cots with proper mattresses. We offer all the mod cons such as Nespresso machines, dishwasher and washing machines and safe drinking water (our own private water supply from a 120 metre borehole). There is free wifi in all apartments. Discover more about the luxury apartments at Imagine Roussillon. Can you tell us a bit about your Kids Club? What sort of things do the children get up to? The Kids Club is in a cool, shaded room in the centre of Imagine Roussillon. We open for either 3 or 4 hours each morning, depending on season. Kids aged 2 and over can attend on their own (if they are capable and willing). Younger children are welcome with a parent in tow. Because we’re so small, we can adapt to the individual ages and personalities of the children each week. Typical activities include painting & drawing, face painting, nature trails (within the complex), role play – e.g. managing a toy airport (always causes chaos!) – making musical instruments, stories, dancing and much more. How can parents relax at Imagine Roussillon? This is one of our great strengths. Imagine Roussillon is very strong on health and fitness. We have a huge purpose-built gym and fitness studio. There are daily fitness class (according to season). 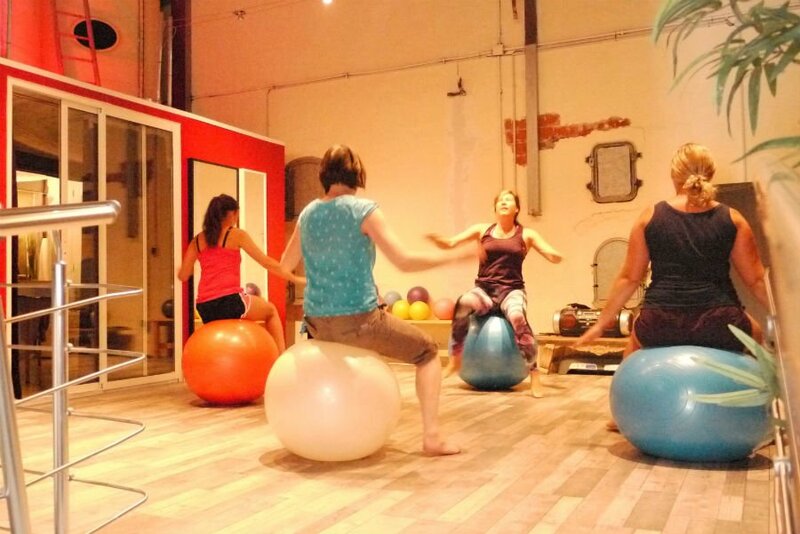 Guests choose from relaxation, aerobics and various other class formats, and it is a great way to get to know other guests. Classes run at same time as kids club. There is also a massage studio offering hot stone treatments and Indian head massages amongst other things. Find out about all the things included in a holiday at Imagine Roussillon.